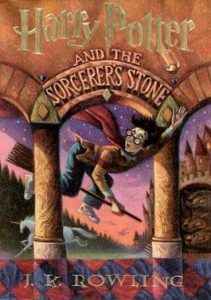 In June, to celebrate the 20th anniversary of the first Harry Potter book, Harry Potter and the Sorcerer’s Stone, Pottermore is introducing the Wizarding World Book Club, a free, online book club designed for readers to read (or re-read), discuss and debate every book in the series. Sounds like a great reason to scram over to the library and check out a copy of your favorite HP book. Happy reading! ← Adults- join us for coloring fun!